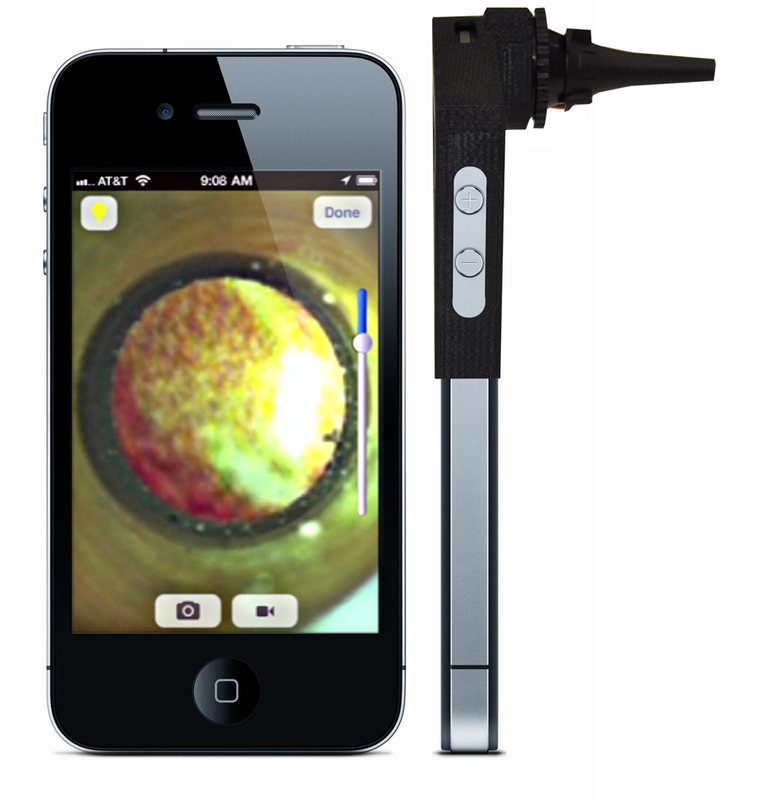 The geniuses at UC Berkley (Cellscope) have developed an otoscope that can attach to a smartphone allowing visualization of the eardrum on the phone's screen. Possible applications include allowing parents to take pictures of their child's ear on the smartphone and emailing to their physician rather than a clinic visit for diagnosis of an ear infection, fluid behind the eardrum, or eardrum perforation. Here is their original research paper describing this idea which extends not just to eardrum visualization, but any application where magnification is required.